An amazing amount of players turned up for the annual Founder Members competition, quite possibly the best turn out in many years with 23 making trip up to Steventon Sports Social Club. On what was undoubtedly one of the nicest evenings with the warm and pleasant atmosphere matching the weather, almost every leg going from 3 sticks and 1 stick and then back to 6, play didn’t finish until 22:00! 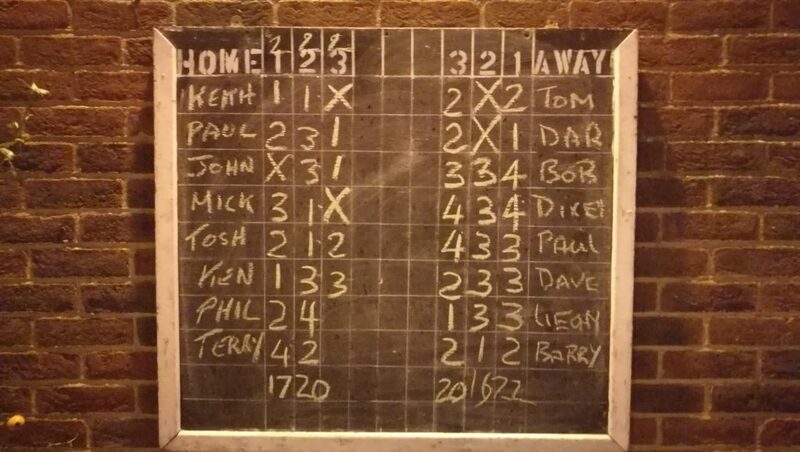 The semi finals saw Dave Davies vs Tosh Wooloff and Jim Hamilton vs Brian ‘Laddie’ Moodie face off for a place in the final.